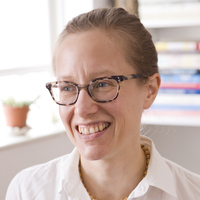 Laura Norén is a Moore/Sloan Postdoctoral Associate at the Center for Data Science at New York University where she also holds adjunct professorships in the Stern School of Business and the Department of Media, Culture and Communication. Norén’s research focuses on collaboration with a particular focus on the way space and technology shape the way workers collaborate within organizations. She is currently studying data scientists and data analysts across a range of workplaces. Her dissertation addressed creative collaboration among graphic designers, architects, electric vehicle engineers, and fine dining kitchen staff. She has also published on collaboration within communities across a range of technological/infrastructural settings including food bloggers and taxi drivers. At the Institute for Public Knowledge, Norén leads the Sidewalks and Screens Working Group with Chris Anderson (CUNY-Staten Island). With Laura Nelson (Northwestern University), Gueorgi Kossinets (Google), and Alex Hanna (UW-Madison) she is co-organizing the first annual Computational Sociology Summit (CSS). The CSS is supported by Northwestern University, Facebook, and the Alfred P. Sloan Foundation. Norén holds B.S. degrees in Architecture and in Comparative Media Studies from MIT and a Ph.D. in Sociology from NYU.